"Houston, Texas - Problem Solved" based on the well-known Apollo 13 quote, "Houston, we have a problem..."
I think you get the idea. It's important that we drive home our strengths and not try to pretend we're something we're not (like "Silicon Bayou"), but it's also important that it be attractive to a diverse range of industries, businesses, and people (unlike "Energy Capital of the World"). I think it's particularly important to go after U.S. or Americas subsidiaries/offices of global/foreign companies, because that's where the growth is, and they're more malleable when it comes to Houston's image (which is stuck in negative territory for most U.S. execs). We can also leverage our third-largest array of consulates to pitch companies from those countries. After watching "The Year of Yao" on DVD, I think we should be specifically targeting Chinese companies, because our profile is so high over there and they're growing so fast (heck, offer 'em Rockets season tickets). Skillful maneuvering or direction: geopolitical engineering; social engineering. As you can see, it's the kind of identity that can be expanded to cover themes well outside the traditional, narrow view of "engineering." It's really a way of conveying a powerful "can do" attitude: "Houston solves problems and gets things done." In addition, to be brutally honest, beauty/aesthetics are not Houston's strongest area, and engineers tend to care less about that sort of thing (more focused on practicalities and affordability), making them one of the easier groups to attract to Houston. I'm sort of partial to "Hub", because it plays up our great air connections around the Americas and the globe. We'd need to differentiate from Florida's "Innovation Hub of the Americas", Miami's "Hub of the Americas", and Boston's simple "The Hub". I recently heard Dr. Bill Gilmer at the Federal Reserve Bank asked about the impact on Houston if there is a dramatic change in energy technology. His reply was basically that there is a powerful critical mass of engineering talent here that will adapt and find something to work on, as engineering skills are always in demand. Bottom line, it's a compelling, strong, believable brand identity for Houston that both transcends and includes our Energy Capital status while also building a great talent and business foundation for our economic future. A few quick pass-alongs tonight. If you want the brief but comprehensive update on major transportation projects around Houston, be sure to check out the new 2005 Transporation Progress brochure from HGAC. Lots of maps and pictures. The sum total is pretty darn impressive. "Signal strength is one issue. Hot-spot-happy Wi-Fi doesn't reach everywhere, and some cities are compromising. In a draft request for municipal Wi-Fi proposals issued Feb. 18, Houston said coverage need only reach into perimeter rooms and up to the second floors of buildings. Excluding those in high-rise buildings is hardly citywide access. Cities that want to go vertical may have to wait for WiMax, a technology that's still in development." "But in places that aren't Podunk small like Chaska or tortilla flat like Tempe, the potential for radio interference and signal degradation can't be ignored. As my colleague J. Nicholas Hoover reported, Houston's planners are ratcheting back their expectations for technical reasons ("City Wi-Fi Sounds Great, If It Can Really Connect," Feb. 27; informationweek.com/ 1078/wifi.htm). In their recent request for Wi-Fi proposals, they state that coverage need reach only perimeter rooms and up to the second floors of buildings--hardly the ubiquitous access promised by the technology's promoters." I'm sure most locals have heard about the horseback ranger airport security program at Intercontinental by now, but it's always interesting to see national media articles about Houston, and this one has some interesting facts in it. This threat was deemed to be credible: Some storage tanks on the west side of the sprawling George Bush Intercontinental Airport might be targeted by terrorists. Who you gonna call? The Airport Rangers, a group of vetted urban cowpokes and their trusty horses. The SWAT team, they're not. The Special Forces, they aren't. Armed? Not unless you count a cellphone. But they've passed background checks, they're trained, they're badged, and they patrol the perimeter of Houston's largest airport looking for anything unusual, including, maybe, al-Qaeda terrorists. The mounted volunteer force began patrolling the perimeter of Bush Intercontinental in December 2003. Since then, the program has grown to 800 riders, nearly 70 percent of them women in their forties. The Houston airport is installing a sophisticated $3.5 million intrusion detection system that is capable of tracking ground-based moving targets, such as missiles. In the meantime, its homespun patrol program cost $50,000. The budget paid for the background checks and badges for volunteers, and for cutting 50 miles of rough trails through the heavily wooded perimeter of the 12,000-acre airport. There have been no terrorist sightings. But there have been many discoveries of deer poachers, all-terrain vehicle joy-riders, target shooters (! ), bikers, homeless campers, aviation enthusiasts and one suspicious character who turned out to be driving a stolen car. All were trespassing on airport property; all were reported to authorities. Rangers have also reported damaged fences along the airport perimeter and the dumping of hazardous waste. "There are a lot of things about Houston that might make us a target -- the port, all the refineries. Our airport is George Bush Intercontinental," Green said. "I'm not a vigilante type of person. . . . But if I can enjoy riding my horse and I think I'm making a difference, that works for me." I don't know about you, but I don't get a warm fuzzy feeling of safety knowing unauthorized people with rifles are wandering around runways. Bullets and pressurized airplanes don't seem like such a good mix. In a post-9/11 world, what kind of moron brings a weapon onto airport property? On a tangential note, 2005 airport stats are out and IAH came in 9th-busiest in the nation (7th largest international gateway) and 17th busiest in the world with almost 40 million passengers. The Big Four in the U.S. are Atlanta, Chicago, LAX, and DFW (from 85 to 59m), and we're clustered pretty close together with the next four: Vegas, Denver, Phoenix, and JFK (all in the 40-44m range). Our growth is ahead of all of them though, at 8.8% year over year, and we have the potential to move into 5th place nationally over the next few years - especially since Vegas is maxing out their small airport. The forecast is for IAH+Hobby to hit 80m by 2025 from 48m today - essentially funnelling almost our entire metro through the airports every month. Pretty staggering when you think about it. How's that for a laundry list of themes? They're from a fantastic NYT profile of one of the biggest thinkers in urban economics today: Harvard professor Edward L. Glaeser. It's a long one (prints to about 10 pages), but well worth taking the time to read. I highlighted huge swaths of my printed copy, but will try to pare it down to the most key excerpts here. ...he has spent almost his entire professional life walking around, and thinking about, cities — seeking explanations why some metropolitan areas thrive and some suffer and what factors make some places pricey and some cheap. Almost as a rule, Glaeser is skeptical of the lack-of-land argument (driving up housing costs). He has previously noted (with a collaborator, Matthew Kahn) that 95 percent of the United States remains undeveloped and that if every American were given a house on a quarter acre, so that every family of four had a full acre, that distribution would not use up half the land in Texas. In the years since coming to Harvard — and in the years that have preceded his current work on real estate — Glaeser has methodically examined how transportation, education, crime, weather and sprawl affect the fortunes of America's cities, as if turning over tarot cards one by one... Until recently, cities existed to economize on transportation costs — hence their locations near industries or agriculture to reduce the expense of shipping products by sea or by train. Yet because transport (mainly trucking) costs dropped significantly during the 20th century, location has become irrelevant. In Glaeser's view, cities now exist so that people can have face-to-face interactions or be entertained or consume products and services. For businesses, cities are a place to benefit from a spillover in ideas and to reduce costs by being near other companies. This evolution, of course, has coincided with a vast American migration toward regions of sun and sprawl. Glaeser likes to point out the close correlation between a city's average January temperature and its urban growth; he also notes that cars per capita in 1990 is among the best indicators of how well a city has fared over the past 15 years. The more cars, the better — a conclusion that seems perfectly logical to Glaeser. Car-based cities enable residents to buy cheaper, bigger houses. And commuters in car-based cities tend to get to work faster than commuters in cities that rely on public transit. (The average car commute is about 24 minutes; on public transportation, it is around 48 minutes.) While many of his academic peers were looking at, and denigrating, how the majority of Americans have chosen to live, Glaeser (though no fan of the aesthetics of sprawl himself) didn't think an economist should allow taste to affect judgment. "You shouldn't go around thinking that all these people are just jackasses for deciding to drive an automobile," he says. In any case, Glaeser discovered that there can be more to urban success than cars and palm trees. For a city without warm weather and a car-friendly environment, skills are destiny. That is why New York and Minneapolis, with vast numbers of college graduates, have done so well. "Boston would be just another declining, cold, manufacturing city if it weren't for its preponderance of human capital," Glaeser says. And his studies suggest that the more skilled a city's population, the more skilled it is becoming, as entrepreneurs attract skilled workers who in turn attract entrepreneurs. Americans, as a result, are sorting themselves through education and geography more and more with each passing year. Glaeser has come to believe that changes in zoning regulations may be the most important transformation in the American real-estate market since the mass acceptance of the automobile. In his view, these regulations have essentially created a "zoning tax" that has pushed prices far above construction costs. Very, very far above construction costs. This is not to suggest that Glaeser wants New York or Boston to become another Houston or Phoenix, where developers build without hindrance and housing, as a result, stays cheap. "I'm pretty sure that Boston and California have gone too far to one extreme," he says. "But I'm not sure that Texas hasn't gone too far to the other extreme." He says he tends to think that officials in the Boston and New York metro areas need to allow for more housing when the market gets tighter again. At the very least, he says, officials should discuss the long-term effects of restricting home building. And there is a bigger point here anyway, he says. Zoning and housing supply ultimately determine not only who lives in a city but also the very nature of these places. Boston, San Francisco and Manhattan are obviously becoming rarefied destinations, mostly for America's elites (Glaeser calls the cities "luxury goods"), with housing floating beyond the reach of the young and the middle class. These cities' economies are in the process of becoming boutique, too, accommodating only the most skilled and privileged. Their desire to limit construction and grow not in buildings and population but in prices has, in effect, begun to shape their destiny. "A healthy city is one that has a healthy mix of demographic groups," Glaeser says. "Shutting out your 25-to-40 year-olds? That feels like a bad strategy for urban innovation." Homeowners, he points out, have a strong incentive to stop new development, both because it can be an inconvenience and also because, like any monopolist, stopping supply drives up the price of their own homes. "Lack of affordable housing isn't a problem to homeowners," Glaeser says; that's exactly what they want. "The thing you want most is to make sure that your home is not affordable if you own it. And for that reason, there's absolutely no reason to think that little suburban communities with no businesses that are run essentially by their homeowners will make the right decisions for the state as a whole, for the business in the area, for the country as a whole." "Houston is growing like no other city in the U.S.," said Chuck Carlberg, principal at Rives Carlberg, the second-largest general marketing agency in Houston. Last year, he said, Houston moved up to the No. 10 spot among Designated Market Areas, regions reached by a TV signal. The No. 10 ranking is significant, he said, because many major advertisers, "like a Pepsi or Coke will say, 'Let's spend in the top 10 markets.' "
Houston is still a city of "dreamers, entrepreneurs and visionaries," he said. "If you have an idea you want to nurture, there is no greater city. You've got the people, the resources, the money and the infrastructure. All you need is an idea." Neat subway maps for lots of cities, all at the same scale so you can compare how extensive different cities' networks are. Paris is remarkably small vs. London and NYC. NYT on some companies moving back to NOLA instead of staying in Houston, with a focus on Shell. Who would have guessed that Oregon has the third worst air pollution after NY and CA? I feel a new slogan coming on to counter perceptions of our own air pollution: "Houston - Better Air Than Oregon." NYT on the gentrification of Atlanta. Some parallels to our situation around Midtown and the Third Ward. Talk about a losing streak. In the past year, Atlanta and Georgia have seen a dramatic reversal of fortune from those days in the 1980s and '90s when it seemed as though we won everything that came our way. We landed the 1996 Summer Olympics, on our very first try, plus two Super Bowls and a slew of national and international corporate headquarters, such as UPS. We beat out other cities for the national headquarters of the American Cancer Society, CARE and the Boys & Girls Club of America. We were on a roll, fulfilling all the promises that boosters had made for years that Atlanta would be the world's next great international city. Now our fortunes have shifted into reverse. Read the list at your peril. General Motors and Ford are closing plants. Fort McPherson and Fort Gillem, also closing. Delta Air Lines, Chapter 11 bankruptcy. BellSouth, a Fortune 500 company, to be acquired by the new AT&T. Georgia-Pacific, another Fortune 500 firm, acquired by Kansas-based Koch Industries. Scientific-Atlanta, acquired by San Jose, Calif.-based Cisco Systems. The list keeps going. The city lost bids for the 2009 and 2010 Super Bowls. NASCAR's hall of fame will be built in Charlotte, not Atlanta. DaimlerChrysler will build a van plant in South Carolina, not Georgia. And efforts to woo the headquarters of Chiquita and K-Mart fell short. The company is competing against a partnership of Northrop Grumman Corp. (NYSE:NOC - news) and Boeing Co. (NYSE:BA - news) to lead NASA's multibillion-dollar follow-on program to the space shuttle, called the Crew Exploration Vehicle. Proposals were due on Monday and NASA is expected to chose a contractor later this year. The new vehicles, which are based on Apollo-like capsules launched on expendable rockets, are expected to fly to the space station by 2014 and to the moon as early as 2018. "The godhead is here in Houston," John Karas, Lockheed's vice president of space exploration, told a teleconference press briefing. (see if you can say that title 10 times fast...) At David Crossley's monthly Livable Houston meeting yesterday, David raised the very legitimate concern that Houston's expected hyper-growth of 3 million new people over the next 30 years will wipe out many of the large, continuous areas of greenspace in our region (see this HGAC projection). Now, even though the maps look pretty scary, I think his case may be a tad exaggerated, as I live in Meyerland, one of the redder density squares on his map, and our neighborhood is pretty green by most people's standards. But he has a fair point that fragmented greenspace among private yards are not the same thing as larger greenspace areas like Memorial Park. Some of the problem is being addressed by Harris County Flood Control as they build more flood control parks under Project Brays like Willow Waterhole (discussed before here), but we are a long, long way from the original vision of linear parks along the hundreds of miles of bayous in our region. How can we do more when local government budgets are so tight and land is getting more expensive every year? Here's a simple solution: for large-scale developers willing to purchase large plots of land for master-planned community development, and also willing to set aside a substantial portion of that land as public park space, let them tap the power of local government eminent domain to assemble the large blocks of contiguous land that they need to make both the development economics and the parks work. It's a true win-win: the developer gets an attractive park space near their community that enhances its value and the land he needs to make the whole project work, while the public gets a nice park out of the deal at no expense to taxpayers. Now, after the Kelo case, I know eminent domain is a sensitive topic these days. I still feel the same as when I wrote about the case last June: in these non-standard eminent domain cases, it probably makes sense to set a higher hurdle to discourage abuse - maybe a 20% or more premium over assessed "fair market value" for the acquired parcels. There's another benefit to this approach too. Developers are sprawling ever farther out to find large continuous swaths of land they can get at affordable prices, and they're leaving undeveloped gaps closer-in. Houston and Harris County feel the developer disinterest vs. much more attractive options in Montgomery, Ft. Bend, and Brazoria counties. If this process makes it easier to assemble larger areas closer-in for development, we can get a more compact metro that better utilizes our existing infrastructure, including roads and freeways - not to mention adding parks and greenspace to our core. Ironing out the detailed processes, requirements, and oversight groups will be tricky, but I think it would be an extremely worthwhile investment in the long-term health of our region. When you weave together satellite image sweeps at different angles into a single map, you take a take a risk of getting something a little out of kilter like this in downtown Houston. Escher would be proud. I call it "The Leaning Houston Center". Maybe we can get a steady stream of tourists just like Pisa in Italy? In discovering this, I also noticed Google has updated their satellite imagery a year or two. The light rail line is under construction, and the Toyota Center, Hilton Hotel, and GRB expansion construction are underway. I miss the Cirque du Soleil tents in the GRB parking lot in the old images though. And here's one more piece of historical imagery that will probably be gone the next time they update their images. You've certainly noticed its disappearence if you've driven the South Loop lately. A little bit more land lie in the ETJs of these two cities (Shenandoah and Conroe), but the vast majority of the Woodlands are in Houston’s ETJ. George Mitchell strategically made this arrangement with Houston back in the 1970’s. He did not want the Woodlands to be fragmented by being annexed in a piecemeal fashion by various small municipalities. The original Woodlands development was completely located in Houston’s ETJ; only because of the subsequent expansion did the Woodlands enter into the ETJ’s of Shenandoah and Conroe. George Mitchell believed in the importance of liberal annexation laws to ensure the future vitality of Texas cities, and he intended to create a community that would one day be part of Houston. He wanted the Woodlands to help Houston rather than to be part of its problems. Bravo for Mr. Mitchell's foresight and good citizenship, but I think it's safe to say that his "children" have pretty much disowned him at this point, and are actively resisting annexation into Houston. Fortunately, disincentives are currently in their favor. Currently, it is understood that The Woodlands tax base Houston would gain if it annexes does not outweigh the debt of the MUDs it would also be assuming. Unlike Kingwood (with their rights over Lake Houston), the Woodlands does not possess any resource that would make it particularly attractive for annexation. However, as the Conroe’s recent actions illustrate, the political climate may suddenly change. Even though it is generally understood that Houston has no interests in annexation, the Woodland’s future is ambiguous at best. Both Stephen Fox and Imad Abdullah agree that it would not be in the economic interest of Houston to proceed with a wholesale annexation of the Woodlands in the near future. Annexation, particularly of residential areas is not usually profitable for Houston. Jerry Wood’s article “An Insider’s Look Outside the Loop” (Cite Magazine, summer 1985) reports that providing services to residential areas is often much more expensive than servicing commercial areas. This basic economic observation influenced events in 1974 when the newly formed City of Shenandoah claimed the Woodlands as part of its jurisdiction. In response, Houston sued Shenandoah but ultimately settled the suit out of court. Shenandoah renounced their claim to the Woodlands, and acknowledged it as part of Houston’s ETJ in exchange for Houston’s recognition of Shenandoah as a city. Houston was willing to allow a small bedroom community autonomy in exchange for uncontested rights over the potential commercial center of the Woodlands. Securing the option of one day annexing the Woodlands commercial center was a top priority. Keeping annexation options open, and preventing surrounding municipalities from incorporating is self-preservation and economic security for Texas cities, which receive little to no state financial aid. Houston needs a wide base to protect its regional interests. The city does not want to annex bedroom communities that often drain more city money than they bring in, but at the same time it will if it will prevent the obstruction of, or permit the extension of its ETJ. In 1977, a bill passed that allowed Clear Lake to incorporate if Houston did not annex it. Houston responded immediately to annex. In this incident, one can see the long term strategic approach of Houston towards annexation issues. Houston was naturally reluctant to annex residential areas while the MUDs were still heavily in debt, but the short term expense is an investment in the long term security of the city’s manifest destiny. One of Houston’s most valuable assets its capacity for growth, and future growth depends on an unobstructed ETJ. Even though The Woodlands has negotiated a moratorium with Houston, stalling any annexation plans to 2011, the threat will loom large over the residents for the foreseeable future. As previously mentioned, Conroe suddenly began annexation proceedings over the parts of The Woodlands under its ETJ. At the meeting, The Woodlands residents have already begun spouting heated rhetoric, with Scott Singletary referencing the Revolutionary War and a call to [legal] arms for his Woodlands “brethren” at the Conroe city meeting (The Courier, 12/9/2005). 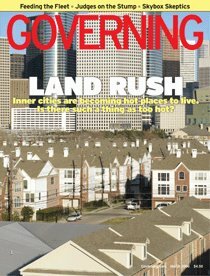 Even though The Woodlands Governance Steering Committee concedes that incorporation would require the permission from the city of Houston or an act of the state legislature, we think that they are acting irresponsibly by spending property owner fees on research into governance options that are unrealistic, i.e. those calling for the incorporation of The Woodlands. While the legislature may be willing to place restrictions on a city’s powers of annexation, it would be a monumental act to eliminate Houston’s right to annexation. To do so would entail providing other sorts of revenue streams for landlocked metropolises (as is the model in other states); an option that the tax-unfriendly state of Texas would be very unlikely to support. Instead of supporting an oppositional stance that threatens Houston with incorporation, the Woodlands may have much to gain through negotiation. They have the advantage of time, money, and an affluent citizenry. Instead of squandering it on a hopeless fight, they should leverage their resources in negotiating with a politically battered Houston. With a level headed approach they could avoid the kind of animosity that characterized the process in Clear Lake, where volunteer firefighters would not share with city fire fighters maps that showed quickest routes throughout the municipality (Chronicle, 8/11/1996) With nine years to plan, The Woodlands may be able to resolve the bureaucratic overlaps that are found in Kingwood. They could also negotiate for provisions that would permit them increased control, better service, or lowered fees. For example, they may be able to negotiate the care of its extensive park and open areas into the care of the Houston park system. The Woodlands should be particularly aware of the consequences of a pyrrhic victory (not to mention defeat). Sparky Nolan noted that the bitterness of the fight hurt Kingwood’s sense of community. After focusing so much on the fight with Houston, residents had little energy left to develop their community in positive ways. It has taken these eight years since the annexation for Kingwood to begin recreating the sense of community that residents thought they were trying to preserve in the fight. The residents of the Woodlands seem to assume that annexation will ultimately destroy the small town character they cherish, but Kingwood’s experience suggests that it is often the political battle itself that causes the damage rather than what follows. They do not need to waste their resources fighting Houston because, as Kingwood has come to realize, community is developed through its residents regardless of their city status. It is possible to have a small town feel, a sense of community, and be part of the City at the same time. In the end, regardless of which governance option is adopted, “Houston” and “the Woodlands” will retain their unique characters. We think that the Government Steering Committee should concentrate on finding a permanent solution for the Woodlands, and should work closely with Houston to negotiate a solution based on regional interests. This most likely would involve annexation, but our findings suggest that an annexation plan that is well conceived, cooperatively negotiated, and carefully implemented could also uphold those core values Woodlands residents hold so dear. I pretty much agree, and while I expect The Woodlands' commercial district and its tax base (including the Fortune 500 HQ of Anadarko) to be snapped up ASAP after the agreement expires in 2011, I think the residents may be able to work out a mutually satisfactory arrangement with Houston, with or without actual annexation. River Oaks successfully kept its identity and stayed "River Oaks" inside the City of Houston, and I'm sure The Woodlands can do the same. Our last year as the nation's third largest county? Estimates released last week show that, as of July 1, 2005, Harris County is thought to have gained 292,000 people since the 2000 Census, a numerical growth ranking fifth behind Maricopa County, Ariz. (Phoenix), Los Angeles and Riverside counties in the Los Angeles metro area, and Clark County, Nev. (Las Vegas). California and Texas dominated the top 10 with seven counties between them. The others in California were San Bernardino (6th) and Orange (10th), while Texas was represented by Tarrant (Fort Worth) at 7th and Collin (near Dallas) at 8th. 13 of the 100 fastest growing counties from 2000 to 2005 are in Texas, including Ft. Bend at 23 and Montgomery at 27. Williamson County, home of Dell, is number 16 as the beautiful hill-country alternative to the People's Republic of Austin/Travis County. Los Angeles, Calif., continued to be the most populous county in the nation, with 9.9 million residents on July 1, 2005, followed by Cook, Ill. (5.3 million - Chicago); Harris, Texas (3.7 million); and Maricopa, Ariz. (3.6 million - Phoenix). LA should cross the staggering 10 million mark next year. Notice how close those last two counties are? Maricopa is moving up fast on Harris, and it looks like they might pass us as the third largest county in the next year or two. Over the last 5 years, they have added about twice as many people per year as we have: 112K vs. 58K. Maricopa also benefits from the fact that Arizona has absolutely gigantic counties landwise: it has 9,224 sq. miles vs. 1,778 sq. miles in Harris County, so they're more than five times our size - and currently building housing to accommodate everyone in California that wants to cash out of their overvalued house, including a tremendous wave of retiring baby boomers. Katrina evacuees might keep us in third for an extra year or two, but the eventual passing seems inevitable. For what it's worth, then our national county and city rankings will match: 4th largest. Our metro ranking is still 7th, and we're likely to pass Miami and Philly in the next few years to make 5th, but catching DFW to make 4th behind NY, LA, and Chicago doesn't seem to be in the cards anytime soon, since DFW is growing slightly numerically faster than us. Christof has an excellent post on Houston's newest HOV extension on 59, but my favorite part is when he explains why express bus is better for suburban commuter service and rail is better for local city service (especially his concise concluding paragraph). These buses don’t do any good, though, for the people who live in the neighborhoods along this freeway. The closest park-and-ride is at Hillcroft, and the buses don’t stop in Neartown or Montrose or serve the University of St. Thomas or the Menil. That’s why METRO is studying light rail here — not as a replacement for the suburban service, but as a complement to it, serving a different travel need. I’ve heard the suggestion made that METRO should simply run light rail on the HOV lane to avoid disrupting neighborhoods. That would be easier than rebuilding Richmond. But it’s wrongheaded on every other count. Suburban commuters — the ones using the HOV lane now — would have a longer trip if they had to transfer to rail. And the inner neighborhoods wouldn’t be served at all. If you want to build a suburban commuter service, you want park-and-ride lots, high speeds, and few stops. That’s what we’ll have in a few months. If you want to serve the city, you want stations in walkable neighborhoods with good pedestrian access, spaced closer to serve more people. That’s the next task. "Municipal governments often require owners of apartments and commercial buildings to provide renters, employees, and visitors with huge amounts of parking. For example, the city of Houston requires apartment buildings to require 1.25 parking spaces for each studio apartment -- even though 17 percent of Houston’s rental households do not own a single car!" I happen to think the parking requirements are basically being realistic for our city and prevent the flooding of neighborhood streets with parked cars. Every apartment complex I know of pretty much fills its parking at night, despite his statistics. 17% may not have a car, but I'm betting 50%+ have 2 or more cars to make up the difference. The parking requirements are there for a good reason: to prevent free-riding of developers off of nearby parking provided by others. I do believe developers can request a variance if they have a good reason to believe they don't need that much parking, but most developers seem pretty comfortable with it as far as I can tell. Overall, while agree with the anti-zoning sentiment, and I like to think of myself as a "practical libertarian", I think his other three items are off-base from a practical perspective. Wide streets not only facilitate speed, capacity, and on-street parking, but safety, esp. when it comes to police, fire, and ambulance response times, and big fire trucks in particular. Maybe they could be narrower in some neighborhoods than they are today, but the ten-foot option he mentions seems crazy to me. Government builds highways because voters demand them. That's the nature of democracy. That said, in Texas we seem to be shifting rapidly to toll freeways (because voters also don't want to raise taxes to pay for them), which should alleviate his taxpayer objection. And I stick by my usual opinion that freeways may support residents moving to the suburbs, but a lack of freeways means residents and their jobs move to the suburbs. People want newer, bigger, more affordable homes, and employers will follow where they go to get them. This one is mostly a pass-along from the Wall Street Journal about Dallas' Trinity River project, although I will highlight the Houston-specific parts plus a few other items of interest. Houston is fortunate in that our Buffalo Bayou redevelopment is a "nice to have" addition to an already thriving core, whereas Dallas is desperate for a spark near its relatively-dead downtown, making the project a "must have" high-stakes bet on reviving their core. DALLAS -- This city has long turned its back on the Trinity River, on most days a brownish stream bound by levees and straightened by a channel. But now the river that Dallas has for much of the past century both controlled and neglected is at the center of a $1 billion plan to revitalize the city's downtown. Leaders envision bridges soaring above a vast greenway, with lakes, parks and a waterfront promenade. The city already has raised well over a third of the money it needs, and is ready to begin construction on the first bridge. Dallas Mayor Laura Miller says the overhaul is the most important project the city will ever undertake. "I believe that," she says. Increasingly, the nation's cities are viewing rivers as economic assets that will attract tourists and locals alike rather than as polluted, flood-prone liabilities. In cities east of the Mississippi River with substantial waterways, such as Detroit, that often means reclaiming sites on the banks that were once used by factories or mills. But in the West, cities often have to revive the river itself. Houston is pursuing an $800 million plan to restore Buffalo Bayou, a sullied creek with eroding banks that is obscured by freeways. In May, a 23-acre portion of the project is set to open, featuring native landscaping, hiking and bike trails, and a dozen new access points. And in Southern California, local officials are working on a $3 million master plan to rehabilitate about 32 miles of the Los Angeles River, a waterway almost entirely lined with concrete that often resembles a deserted freeway. Now, a number of other Western cities are reconsidering their rivers. But restoring them to something akin to their natural state is a costly proposition and one that poses challenges for cities that have for years favored growth at the expense of the environment. Urban planners who submitted proposals for the Los Angeles project, for example, say it would take the better part of a century to complete. Development along the banks is a challenge, too. In Houston, a city with no zoning ordinance, leaders are already fretting over how to execute a master plan that calls for mixed use and affordability. "It's a tough political slog," says Patrick Phillips, an economist at Economic Research Associates, a Washington firm, and consultant to the Buffalo Bayou Partnership, which is leading the Houston effort. In Dallas, there is considerable damage to undo. After a devastating flood in 1908, the Trinity River was confined to a channel. Its flood plain was long used for dumping. Even now, much of the water flowing down the Trinity is treated wastewater, though it is considered much cleaner than in past years. In 1998, after a political battle, Dallas voters narrowly passed a $246 million bond package to redevelop the Trinity, which flows just west of the city's downtown. But money remains an issue. Dallas has raised an additional $184 million through federal, state and private channels, but the project's completion is contingent on the ability of local leaders to keep tapping these sources. Nor is the project without opposition, having generated three lawsuits, mostly on environmental grounds. In each case, courts allowed the project to proceed. The focus of the project, which will encompass 10,000 acres, is the half-mile-wide flood plain that extends some 20 miles from northwest Dallas and past downtown to the 6,000-acre Great Trinity Forest. Ultimately, officials envision retail and residential development rising skyward on both sides of the 30-foot levees. Ms. Miller sees development along the Trinity as part of a push by local leaders to reinvigorate Dallas's downtown, one that includes an arts district and the conversion of office space to residential space. "People say there's nothing happening here," she says. "That's got to change." Late last year, the city broke ground on the first of three proposed suspension bridges designed by Spaniard Santiago Calatrava. "Dallas has land," says Alex Krieger, a professor at the Harvard Graduate School of Design and co-founder of Chan Krieger & Associates, a Cambridge, Mass., architecture and urban-design firm, who was a consultant on the project. "What it wants is culture, recreation and beauty." I just discovered some new comments that Blogger failed to inform me about via email. This has become increasingly common lately and more and more frustrating as they randomly do not send me the comment notification email or it just doesn't get through. If you ever feel that you are asking me a direct question in a comment and not getting a response, please email me at tgattis (at) pdq.net (anti-spam-spider format) to let me know, and please include a link to or the title of the relevant post. I will also add this note to the About Me section on the right. Thanks, and sorry for the inconvenience. Note that the financial industry has rocketed from 6% to 10% to 14% to 21% of the market. That is a heck of a lot of money floating around, and it is directly responsible for New York's renaissance since the 1970s. You can see the SF/Silicon Valley and Austin crash from 1999 to today as the tech industry fell from 30% to 15%, and Dallas' Telecom Corridor crash as telecom drops from 9% to 3%. The 80s really were the "materialist decade" (as 'Material Girl' Madonna pointed out to all of us), with consumer discretionary and staples on top. The rise of health care along with our own rapid rise of the Texas Medical Center. The energy crash and its impact on Houston in the 1980s as it went from 21% to 12%. The energy resurgence and our renaissance since 1999 as it went from 5% to 9%. You can also see the impact of globalization and especially China in the decline of consumer discretionary, although, contrary to popular wisdom, industrials seem pretty healthy. No industry seems to be able to stay on top for more than a decade (all bubbles eventually pop), which doesn't bode well for the financial industry. Based on Warren Buffett's recent comments about the outrageous fees of financial middlemen these days, financials and NYC may be in for a tumble sometime soon - probably to be displaced by health care as the next leader as baby boomers age. On the other hand, energy doesn't seem to have gotten overwhelmingly large, so Houston may be in good shape for a while. A lot of interesting facts in this one, which I've tried to highlight. I thought it was curious Chevron didn't sign in the old Enron building so they could use the nifty circular pedestrian skybridge. This article doesn't explain why (Chevron is staying tight-lipped), but it at least discusses the situation. Enron's former headquarters will remain a dark spot on the Houston skyline for the indefinite future. Last week, Chevron USA Inc., a potential tenant for the building at 1400 Smith St., surprised the Houston real-estate community when the Chevron Corp. unit announced that it would take space elsewhere. "It was widely anticipated that they would take that building," said Steve Biegel, a Houston-based senior vice president for Studley Inc., a real-estate firm that represents tenants. "We're disappointed, of course, that we didn't get it," said Bill Donovan, senior vice president of Towanda Development I Ltd., the group that owns 1400 Smith. Towanda, which bought the 50-story tower in 2003 for $55.5 million following Enron's bankruptcy, faces a challenge in luring other tenants because the building doesn't offer parking -- an essential amenity in car-dependent Houston. Towanda was led by cardiologist Antonio Pacifico, who died in a plane crash in November, but Mr. Donovan said Towanda's other investors are well-funded and can be patient. The former Enron headquarters -- no longer sporting the tilted "E" out front that was the subject of much news footage -- has 1.27 million square feet available, making it by far the largest existing empty office building in the U.S., according to real-estate information company CoStar Group Inc. of Bethesda, Md. (This doesn't include large skyscrapers which are under construction in several markets, including the 1.7 million square feet in 7 World Trade Center in New York.) Though the market is improving, the Houston central business district had a vacancy rate of 19.4% in the fourth quarter of 2005, according to Property & Portfolio Research Inc. of Boston. The Enron building is the largest of several options for tenants looking for space in the district. "As long as there are multiple large blocks of space available on the market, it will make it difficult for any landlord to raise rates significantly," Mr. Biegel said. Chevron already owns and occupies 1500 Louisiana St., a skyscraper next to 1400 Smith that Enron was constructing as the company started to crumble. The two Enron towers were to work in tandem and are linked by a pedestrian walk, to which Chevron bought the rights when it acquired 1500 Louisiana. When the oil company announced it was looking for more space in central Houston, as it consolidated its work force after the acquisition of Unocal Corp., 1400 Smith was seen as a logical choice. Chevron wouldn't have faced a parking dilemma because it owns a parking garage nearby. However, Chevron announced Friday that it had agreed to take 465,000 square feet in Continental Center I, at 1600 Smith, a building adjacent to 1500 Louisiana on the northwest side. Continental Center I is owned by Chicago-based Trizec Properties Inc., a real-estate investment trust with 6.1 million square feet in Houston's central business district. Chevron spokesman Mickey Driver said "1600 Smith was the best deal for Chevron." He wouldn't confirm whether the company had considered 1400 Smith. Towanda had drawn plans to convert the bottom floors of 1400 Smith into parking, but those efforts were put on hold during the Chevron discussions. Now, the investors are considering that option again, Mr. Donovan said. Is money in politics always bad? If a sense of political self-preservation does produce a push for campaign reform during the 2007 legislative session, lobby groups, the longtime players who are being outgunned in the new, sky's-the-limit election marketplace, would be wise to join the effort. But money yells so loudly, its influence will be difficult to temper. So here's my logic questioning this assumption of "money in politics = bad". There are basically two ways of making money: a person can earn it by providing a valuable service to society, or a business can make it by converting inputs of lower total value to society (i.e. costs) into outputs of higher total value to society (i.e. sales/revenues), with the value-add equal to profits (revenues - costs). Either way, something of value was created for society, and society (i.e. customers or employers) gave them some money in exchange, in essence saying "Thanks for the valuable service/product! Here are some 'tokens of gratitude' (i.e. money) you can exchange for something you want in the future." So, generally speaking, people with lots of money (i.e. tokens of gratitude) are those that have provided a lot of value to society (I know this is not always the case, but it generally holds - and, of course, money is not the only measure of somebody's value-add to society (Mother Teresa and Einstein come to mind), but it is one measure among many, and probably the easiest to quantify). In essence, they have stored up a lot of favors society owes back to them when they're ready to turn those tokens in. In most cases, they spend it on homes, cars, material goods, vacations, or college educations for their kids. But what if they have strongly held beliefs about the right direction for society? Or even, maybe a little more selfishly, they want to push government in a direction that helps their personal interests. Why can't they turn in society's tokens of gratitude for the value they've provided in exchange for strongly communicating their beliefs or interests, whether directly (i.e. free speech) or indirectly by supporting a spokesman (i.e. a political candidate)? I'm not advocating bribes, but as long as campaign donations are public information, why shouldn't they be able to exchange society's markers for a louder voice? Now, going out on even thinner ice, it might be argued that this will actually lead to better government in a democracy. One of the classic arguments against democracy when it was being birthed in the 18th and 19th centuries was that it gives equal weight to the most ignorant and poorly-thought-out opinions and to the most intelligent and well-thought-out ones. How many times have you heard people say, when their candidate wins, "the people have spoken," but when their candidate loses, "the ignorant masses washed out the intelligent minority"? Letting money into the process lets people who have added the most value to society get an "extra loud voice" in the raucous debate that is democracy. Is that a totally bad thing? Might it not counter-balance some of the more negative tendencies of "ignorant majorities" in democracies? (with the assumption that ignorance makes it hard to add a lot of value to society (vs. education and intelligence), so therefore they are less likely to have money to influence politics). Some people may think this is a "the right with money vs. the left without money" argument, but I think the left was pretty happy to have billionaire George Soros' 527 money in the 2004 presidential election: somebody who added a lot of value to society wanted to exchange that value for a louder voice. Is that unreasonable? I know this is pretty radical thinking, and my logic may be flawed, so I'd be very curious to hear thoughtful counter-arguments in the comments (or, if you agree, that might be nice to hear too). He totally nails it, including solving the Afton Oaks problem and the freight rail across Richmond problem. The trick will be convincing Metro to extend the Universities line all the way to the Galleria, rather than forcing a transfer. Read the logic and be impressed. Update: David Crossley makes the case for Richmond in Intown magazine. The Reason Out of Control blog recently posted regarding a white paper on how cities should approach adding wi-fi to their municipality. While I have mixed feelings about government getting involved where private companies compete, my main reason for this post is not to opine, but to just pass the tips along, hoping they might find their way to the right people looking at this for Houston so we don't make some of the mistakes that are being made out there. So if you know those involved, please pass this along. Thanks. "free now, pay later" brings out the worst in some politicians. in WiFi public/private partnerships, the silent partner risks getting the messy part of the stick. The frenzied focus on trying to get municipal wireless free is detrimental to the advancement of this trend, and it is putting cities in danger of missing the many opportunities the technology offers. Trying to get the best deal possible for a city and its citizens should always be the main goal, though. You do this through better planning, thorough assessment of your technology and end user needs and a more aggressive exploration of your options. In short, there is no such thing as free WiFi, and while municipalities can expect a high level of cooperation from vendors and partners, they need to be acutely aware that their interests don’t always coincide. Those cities that fail to grasp this are the one’s most likely to either fail, or on the other hand, be grossly taken advantage of by an aggressive corporate partner. The worst case scenario is likely to occur in cities that attempts to mount municipal wireless purely for a political payoff, such is the case in San Francisco. From Otis White's Urban Notebook, copied in full (as usual) because he doesn't have permalinks. I love this piece, because it not only explains the problem of skyrocketing property taxes and the solution, but also notes the good incentives it provides for city government and the un-discussed downside if we eliminate or hobble the property tax (like California's Prop 13, which has had the exact effects he describes at the bottom). Is there a way to save the property tax? Rarely has there been a tax as despised, in part because of the way it’s presented (usually in a single, shocking bill), but never has there been a tax as well suited to localities. Better move quick: If something isn’t done soon, the property tax will be so hobbled by irresponsible state legislators or hotheaded voters that it will cease to be a mainstay of city revenues. And woe be to cities then. Why is the property tax so well suited to cities? Because determining land use is what cities do best. Think about it. From zoning to road expansions, sewer improvements to streetscaping, slum clearance to law enforcement, cities affect the value of property. With a single decision sometimes, a city council can turn a weedy lot into a hot development property. Given this, why not reward cities for doing what we most want them to do — constantly push up our property values? But here’s the problem: Not everybody who buys a house does so as an investment; some are there for the long haul. Their dream is to retire, live out their lives and die in the house. If anyone is going to make money from their property, it will be their heirs. The New York Times reported recently on a group of such homeowners near Boise, Idaho. These are people who bought large tracts a long distance from the city, only to see urban sprawl run up their property values and tax bills. One retired state employee paid $454 a year in property taxes when he bought his hundred-year-old farmhouse 17 years ago for $59,500. Last year, he paid $3,005 in taxes on land now valued at $225,000. Another property owner saw taxes on her 33-acre land soar from $2,200 to $10,871 in a single year. What could cause such a surge? Her land was rezoned from agricultural to residential. “All I’ve got is a rundown barn in the middle of Idaho,” she complained to the Times. Wouldn’t cities suffer? After all, they need revenues from property taxes now, not years from now. Wall Street could solve that: There should be plenty of investors willing to buy deferred taxes at a discount, particularly if the taxes accumulated interest during the deferral period. And what about homeowners’ heirs? Won’t they be upset at receiving a gargantuan tax bill when the estate is settled? Well, this may be the value of a single, shocking bill. Cities can present the tax bill on a statement showing how much their actions, over the years, have raised the value of mom and dad’s house. In the end, then, cities would be asking for a percentage of the increase they made possible. And just as few sellers begrudge real estate agents getting their share, who could object to cities getting theirs? Footnote: Let’s think about the worst-case scenario. What happens if the property tax goes away? Cities will be rewarded for doing crazy things, like trying to cram high-volume retail outlets on every corner (to get sales tax revenues) or office buildings everywhere (to get payroll taxes). And no place will want homeowners, who will be regarded as a bunch of high-cost freeloaders. Houston could be an innovator here, but I doubt it. The housing bubble and associated property tax revolt is much stronger elsewhere in the U.S., esp. on the coasts. One of those places seems more likely to try out this approach. They can work out the kinks, and we can learn from their mistakes and follow in their footsteps in future years if and when it makes sense. But it's definitely worth keeping in mind if accelerating property taxes becomes a front-burner issue here again (unlikely, given our recent 5% (?) cap that passed). Interesting article in the NY Times today about the changing demographics of the NY metro area, which happens to include a couple Houston references. The headline is that non-hispanic whites will dip below 50% of the NY metro area very soon (something that occurred within NY city quite a while back). The chart at the right lists some of the biggest numerical gainers and losers over the beginning of this century. You can see a definite trend out of expensive cities to ones with a far lower cost-of-living, especially housing. What makes the city and the region unusual, though, is that among the nation's 88 metropolitan areas with half a million or more people, New York is one of only three — Houston and Honolulu are the others — where the proportion of blacks, Hispanics and Asians each exceeds their share of the national population. What's happening in New York has already occurred in metropolitan areas in the West and South, including Los Angeles, Miami, Houston and San Francisco. The proportion of whites has also dipped to just over a majority in the San Diego, Washington, Dallas and Las Vegas metropolitan regions as Asian and Hispanic people disperse beyond central cities and their suburbs and as blacks migrate to the South. In each of those areas, whites are already a minority of the population under age 15. Atlanta led large metropolitan areas in black population growth and is poised to overtake Chicago as the region with the second-highest black population in total numbers, after New York. In absolute numbers, Houston is the 5th largest US metro for Hispanics, 10th for Asians, and 9th for blacks (we're the 7th largest metro overall). In absolute gains during 2000-2004, Houston is the 5th fastest-gaining US metro for Hispanics, 8th for Asians, 5th for blacks, and 8th for whites. Somewhat surprisingly, Dallas is gaining slightly ahead of us in all four groups. On a percentage basis, we're the 15th fastest growing large metro (9.3% 2000-04). Everybody growing faster than us is quite a bit smaller than us except for DFW at 14th/9.7%. Harris County is the third largest county in the nation at 3.64 million in 2004. Maricopa/Phoenix may pass us in just a few more years if their scorching growth rate holds up. Of the 15 largest counties, only LA, Maricopa, and Riverside-CA are growing numerically faster than Harris County. The Houston metro area is 45% white, 16% black, 32% Hispanic, and 5% Asian, qualifying us for 7th on their "Large Melting Pot Metros" list. It's not just Hispanics and blacks: We are tied for the largest Asian percentage (5%) of any urban area between the two coasts (east of Vegas, west of DC) along with Chicago and Minneapolis. A little random trivia: you might expect Salt Lake City to be the leading non-diverse "whitesville" of the West. Wrong. It's Smart-Growth-Mecca Portland at 80% white to SLC's 79%. It's worth skimming the whole pdf. There are some cool USA demographic maps with color-coded counties. Yep, that is the Fourth Ward with the Continental building behind it. When the magazine came in my mail, I did a double-take when I saw it, thinking those skyscrapers looked awfully familiar. The story is quite long but absolutely worth reading (and don't miss the photo essay near the top). It talks about State Representative Garnet Coleman's efforts to stop gentrification of the Third Ward, what happened in the Fourth Ward, the pro-gentrification case from developer Larry Davis, Mayor White's program, former Mayor Lanier's take, and, most interestingly, what the TIRZ's are up to in Midtown and the Third Ward with "land banking". Gentrification, a phenomenon normally associated with coastal cities such as New York and San Francisco, is now heading inland, transforming inner-city neighborhoods from Milwaukee to Raleigh-Durham to Albuquerque. It’s even come to Houston, the three-beltway city that loves to sprawl. Since 2003, the number of Houston-area suburbanites “very interested” in moving into the city has doubled, according to sociologist Stephen Klineberg, who regularly surveys regional attitudes toward the city. Homebuilders are responding by blanketing neighborhoods close to downtown with three-story town homes and lofts. Such development is no accident. In the past decade, the public sector has invested upwards of $8 billion in the central area Houstonians call “the Inner Loop,” much of it geared toward making the city more enticing to affluent suburbanites. There’s an eight-mile light rail line, new football and baseball stadiums, a museum district that’s doubled in size, new downtown parks and fresh landscaping. Yet now that suburbanites are moving in, it’s not just Garnet Coleman who’s sounding the alarm. So are Houston’s mayor, Bill White, and many members of the city council — particularly those who represent predominantly African-American and Hispanic districts. What concerns both White and Coleman and most critics of gentrification is the prospect of Third Ward residents getting priced out of their own neighborhood. Recent research, however, suggests that worry is overblown. Studying gentrification’s impact in Boston, Duke University economist Jacob Vigdor found that an influx of affluent newcomers had, if anything, merely contributed to Boston’s socioeconomic integration. “There is no evidence to suggest that gentrification increases the probability that low-status households exit their housing unit,” Vigdor concluded. Columbia University economist Lance Freeman found the same thing last year in a study of New York. In fact, Freeman found that residents of gentrifying neighborhoods were less likely to move than residents of non-gentrifying neighborhoods. Those studies haven’t tempered fears that the Third Ward is on the brink of upheaval and the perception among policy makers that something must be done to tame it. What Houston is discovering, however, is how slippery an issue gentrification can be. The Third Ward today is awash with developers, politicians, neighborhood activists and longtime residents. Each possesses a financial, political or personal stake in what the Third Ward is to become. And each, in distinct ways, is working at cross-purposes. Not only do they disagree on how to solve the Third Ward’s gentrification problem; they can’t even agree on what the problem is. Is gentrification, despite what the academics say, really a problem of displacement? Is it a natural and unavoidable consequence of market forces, or does it result from specific policies? Is it a problem of low wages or one of high-priced real estate? Does it require government intervention? That such a debate is playing out in Houston — a city famous for its lack of zoning and its developer-friendly ethos — is a testament to the passions and confusion that gentrification arouses. What really seems to be at stake is something quite nebulous: the character of a neighborhood. And in Houston, as in many cities, that is inextricably linked to questions of political power and race. The key to Coleman’s approach is money — money to buy land and take it out of circulation. To get it, Coleman is utilizing a quasi-governmental authority, deploying tactics that would make the legendary highway and bridge builder Robert Moses proud. If Moses manipulated the back channels of power in New York for the cause of promoting development, however, Coleman is doing the same in Houston in order to impede it. Coleman’s vehicle is an urban investment tool known to most cities that use it as “tax increment financing.” In Houston, the arrangement goes by a different name — “tax increment reinvestment zone” or TIRZ. The idea is that as a depressed area redevelops, the resulting increase in property taxes pays for more improvements in the neighborhood. Houston’s city council has designated 22 such TIRZs in different neighborhoods, each with its own governing board. Typically, their goal is to spruce up sidewalks, lighting and landscaping, in hopes of attracting even more development. A public entity hiding what it's doing? A TIRZ that, instead of investing in improving a district, is using its money to actually impede improvement? I have to say, it all sound sort of fishy to me - something I'd love to see the Chronicle do a little investigative reporting on (not to mention City Council). Are we really sure this is what we want our TIRZs doing? For years I've noticed all these little improvements in Downtown and Uptown (sidewalks, signage, landscaping, etc. ), but nothing in Midtown, and wondered why. Well, now I know: the Midtown TIRZ is using its funds for "land banking" instead of making district improvements. Is this really a good use of what are essentially public taxpayer resources? Let's look at this from a purely economic perspective for a minute. There are some relatively small areas of land that could potentially gain a lot of value and add substantially to the tax rolls. There are plenty of poor areas of town that are not valuable, not going to be anytime soon, and could use lots of investment. Wouldn't it be wiser to let developers increase the value of the small area, and direct the incremental tax revenues to helping other, more run-down and less desirable neighborhoods (inc. more affordable housing)? Wouldn't that help a lot more people than locking the small areas of potential gain into low-value uses? To me, this seems like the worst kind of NIMBYism: "screw the needs of the rest of the city, I'm preserving my neighborhood at all costs." If Rep. Coleman's broader constituent base truly understood how much they were potentially giving up by freezing this land in time (money for schools, parks, libraries, community centers, clinics, sidewalks, lighting, affordable housing - the list goes on and on), I think they wouldn't be so happy. In the aftermath of hurricane Katrina, Houston earned a loving moniker among many of the evacuees who sought refuge there: the Big Heart. This, after all, was the city that housed, fed and mended more than 150,000 survivors in a herculean effort that won national acclaim. Houston officials mounted what is believed to be the biggest shelter operation in the country's history, including MASH-like megaclinics that took on problems ranging from emergency care to eyeglass prescriptions. Then, just as quickly, officials disbanded those facilities to usher evacuees into more-permanent housing, offering them generous vouchers that covered rent and utilities for a year. "No other city really provided the resources and assistance Houston has," says Angelo Edwards, vice chair of the ACORN Katrina Survivors Association. "If not for Mayor [Bill] White and his administration, a lot of us would've been lost." But six months after the evacuees arrived, the city's heart seems to be hardening. But perhaps no city has been as convulsed as Houston, which took in the greatest number of survivors. As some see it, the city is suffering from "compassion fatigue." Public services are overwhelmed, city finances are strained and violent crime is on the rise. When city leaders in New Orleans made comments two weeks ago suggesting that they wanted only hardworking evacuees to return, some Houston city-council members erupted in protest—fearing that politicians in the Big Easy were trying to stick Houston with their undesirables. "We extended an open hand to all kinds of people," says Councilwoman Shelley Sekula-Gibbs. "If they want to return home, it's their right." And if they want to stay, she adds, they "need to stand up, get on their feet and get jobs." All of which leaves Houston Mayor Bill White scrambling to keep the city's finances afloat. He's taken heat from political opponents who carp that he should have sought greater assurances of federal support before welcoming evacuees so magnanimously. "This is going to create turmoil for many years to come," says Steve Radack of the Harris County Commission. But White responds that the city couldn't exactly shut its doors to desperate, dislocated people. Last month he announced that FEMA had agreed to reimburse the city for its housing-voucher program—expected to cost $300 million to $400 million—and to pay $6.5 million in police overtime costs to boost patrolling. And he continues to campaign for additional education and public-safety funds. Six months after Katrina, he says, "there is still an emergency." The city that so generously opened its heart could now use a little generosity itself.